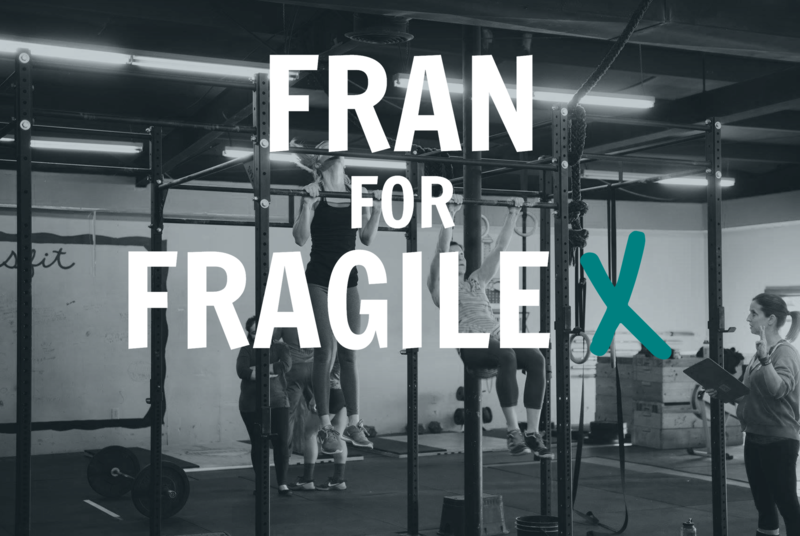 Join us for the ultimate CrossFit workout at Fran for Fragile X to raise funds for Fragile X research. Please register here, and don’t forget to choose your heat time and T-shirt size. Times and sizes may sell out; only shown options are available. Your ticket of admission to the event is your paid receipt. Donations to the cause are most welcome, whether or not you plan to attend.